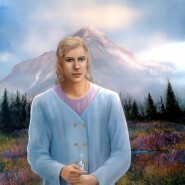 Adama is the High Priest — the spiritual leader in the sacred Lemurian city of Light called Telos beneath Mount Shasta, CA. He is the head of the Lemurian Council of Light in Telos. Also an ambassador and diplomat for Galactic contacts with our Star Brothers and Sisters, on behalf of humanity within and on the surface of the globe. Adama, along with his Lemurian team are also in charge of the creation and maintenance of a very important crystalline grid around this planet. He is working with many members of various galactic and interplanetary beings on this important project. Adama is a Blue Ray ascended master of universal level, a master of Love and Compassion, assisting humanity and the planet with the ascension project. Telos has now become the main headquarters for ascension on this planet, and Adama is one of the main leaders, along with the planetary Christ, Lord Maitreya, Lord Sananda, Lord Buddha, Sanat Kumara, and so many others. Adama embodies the “Heart of Lemuria” which is nothing less than the heart of love and compassion and the heart of the Divine Mother, the return of the Christ consciousness on this planet with all its wondrous magnificence. Adama’s time to be known and heard on the surface of this planet has now come. His spiritual presence among us, and the spiritual presence of our former Lemurian family is a great blessing for us all and for the planet. Let’s open our hearts to Adama and to the members of our Lemurian family who are assisting us in our evolutionary pathway, waiting to reconnect with us in a more physical manner in the years to come. On behalf of the Lemurian Council of Twelve of Telos, the king and queen of Telos, “Ra and Rana Mu” and all of your former brothers and sisters of the present-day Lemurian civilization, we welcome you all to the Heart of Lemuria, the Heart of Compassion. We are indeed the survivors of Lemuria, and to the great surprise of many of you on the surface, we reveal to you at this important time of Earth’s evolution that we are indeed “real;” we are well and alive beneath Mount Shasta, California after twelve thousand years of isolation from the surface folks. The time has now come, beloved ones, for our two civilizations to reunite as one, once again. One of the main purposes of our teachings is to assist the establishment of the foundation that is needed in preparation for our eventual emergence among you. The long dark night that has separated us for so very long is now over, and we are planning to emerge physically among you in the near future to reunite in love, wisdom and understanding with all of you, our former family members and friends of ancient Lemuria. It is our heart-felt desire to teach you all what we have learned through the passage of time of our long separation, and to assist you in creating for yourself the type of paradise we have created for ourselves in Telos. We have forged the way for ourselves, and because we have attained such a high level of spiritual wisdom and understanding, it will be much easier for you to follow in our footsteps once we walk again, side by side among all of you.